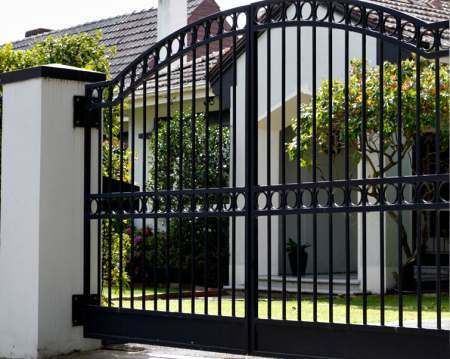 We at Ysterman pride ourselves on the fact that we are the market leaders in solid steel security products. From design and coceptualization, right through to manufacturing, powder coating, installation and after market service, our highly trained staff will always be more than willing to go the extra mile for our Valued patrons. For the past 20 Years Ysterman has been supplying the domestic, commercial and industrial markets with high quality products that are only matched by our affordable pricing structures and desire to exceed our clients expectations from first contact through to final sign off. Solid Steel Security has always been the fore runner in product strength, durability, reliability and ultimate peace of mind. We at Ysterman are so confident in our products that we offer the best guarantee package available in the market today. Whether you are looking to secure just one aperture or to secure your entire property, our experienced sales staff will guide through our products, services and ultimately make a educated recommendation based on their years of experience in the industry. Our sales staff will gladly do a FREE Security Risk Assessment for you, Just one of the ways we at Ysterman ensure our clients are looked after. Copyright © 2015 Ysterman. All Rights Reserved.